In North America Bibles lay abandoned on shelves, but in the areas Petros Network launches church planters, new believers are desperate to receive just one Bible. Petros Network also gives our Church planters a Study Bible in their own language for personal growth and teaching preparation. For many church planters this Bible is quite a luxury and a real treasure. Often they will unwrap the Bible, carefully leaf through it and then try to wrap it again. As our church planters continue to spread the Good News to their community the need for Bibles grows. With your help we were able to distribute 5100 Bibles at a recent leadership training event. Excitement filled the air as 175 church planters carried off Bibles to give to people in newly reached villages. Our Church Planters have a deep desire to study the Word but usually have no tools to help them understand the Bible at a deeper level. You can help meet this specific need by providing a Study Bible for a church planter. 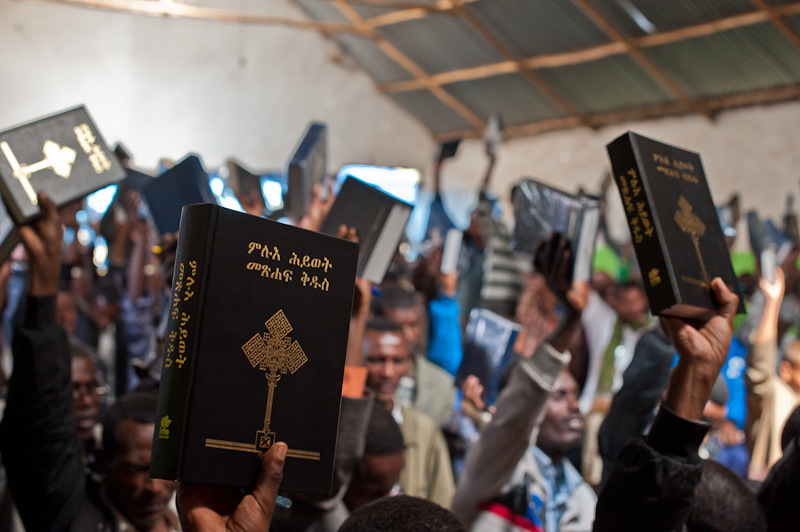 New church planters are provided with an initial supply of new Bibles. As the Good News is shared the need for Bibles quickly outpaces their supply. Help meet this need by providing Bibles for new believers.